Add some adventure to your Bachelor/Bachelorette party or the entire wedding party. The Arkansas River and Browns Canyon National Monument is near Buena Vista- a 2 hour drive from Denver or 1.5 hours from Colorado Springs. 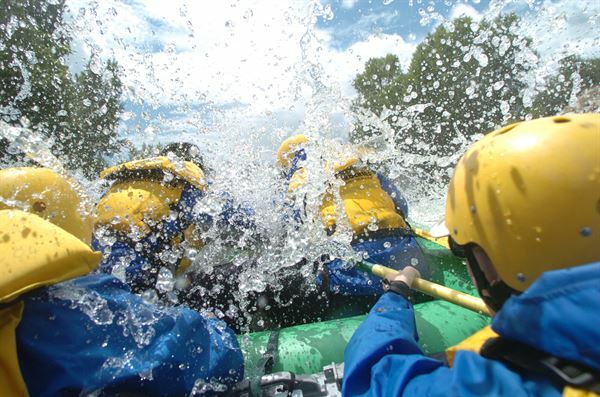 Rafts hold groups of 7 people and and groups of up to 200 can be accommodated. Choose from gentle floats suitable for young ones 4 years and older or Class 5 Wwildwater trips for the most adventurous. Opne May 1 to September.